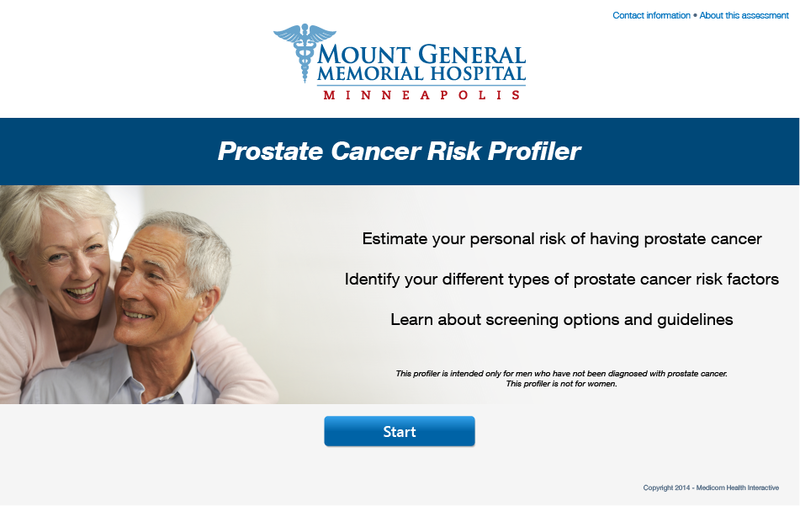 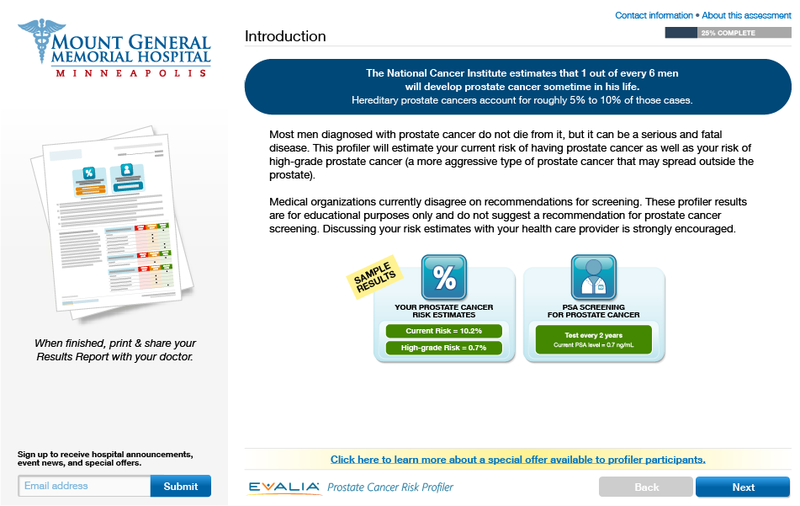 Educate male consumers on prostate cancer risk. 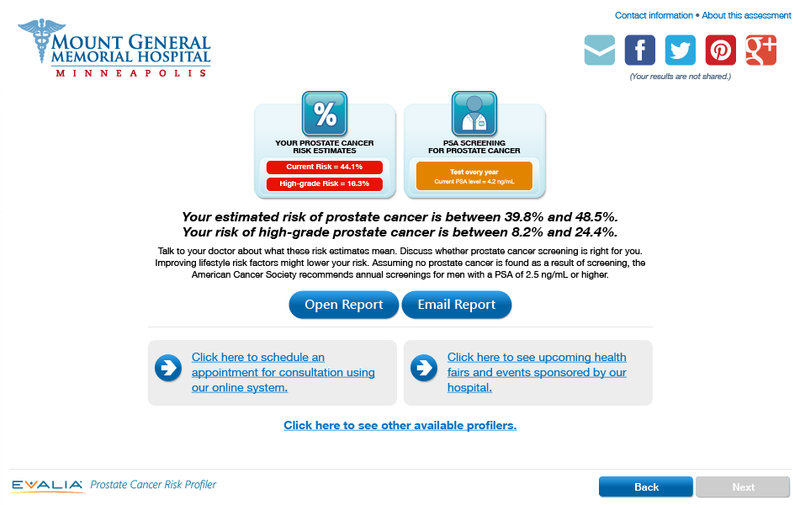 The evidence-based Prostrate Cancer Risk Profiler estimates the consumers’ current risks and high-grade risks of prostate cancer. 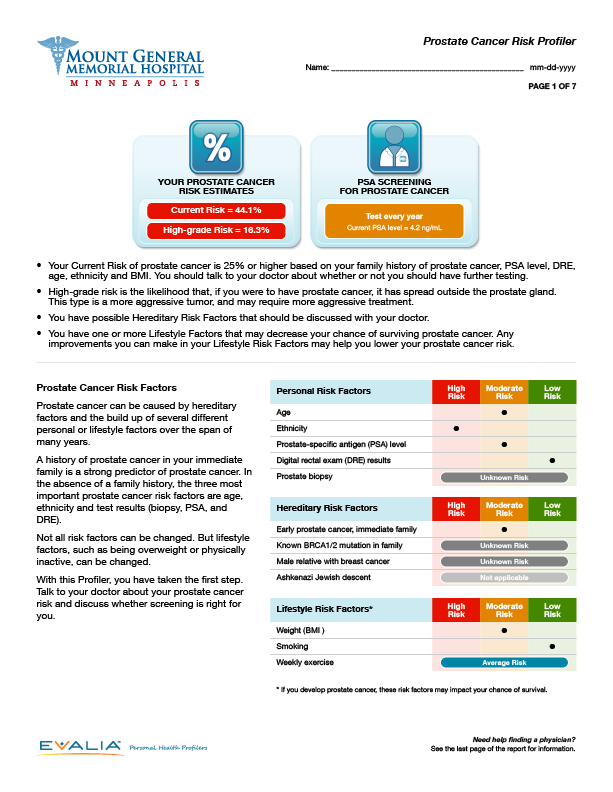 The risk calculation takes into consideration the men’s lifestyle, genetics and personal health histories. 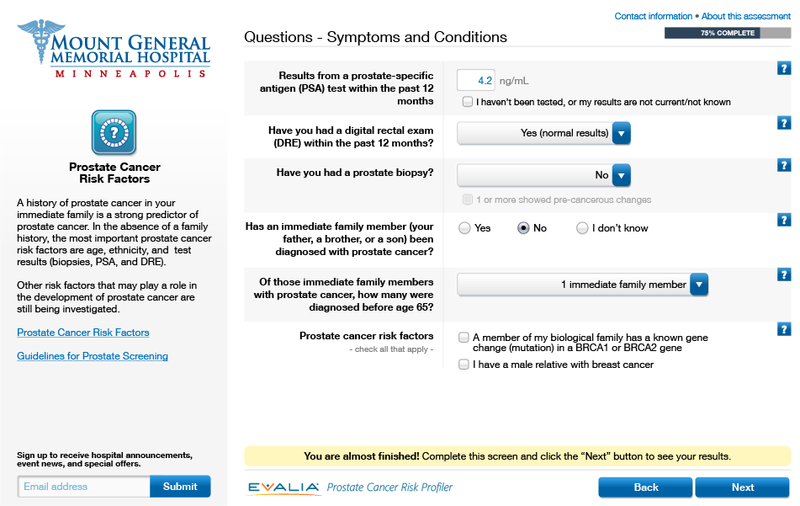 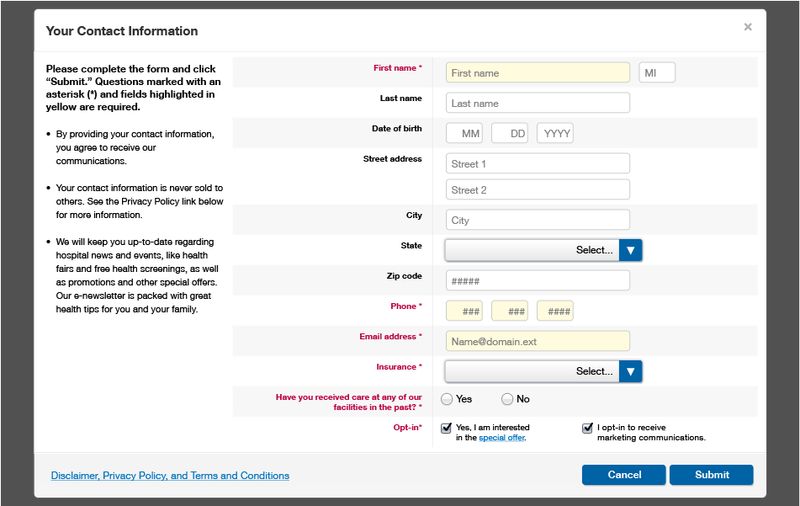 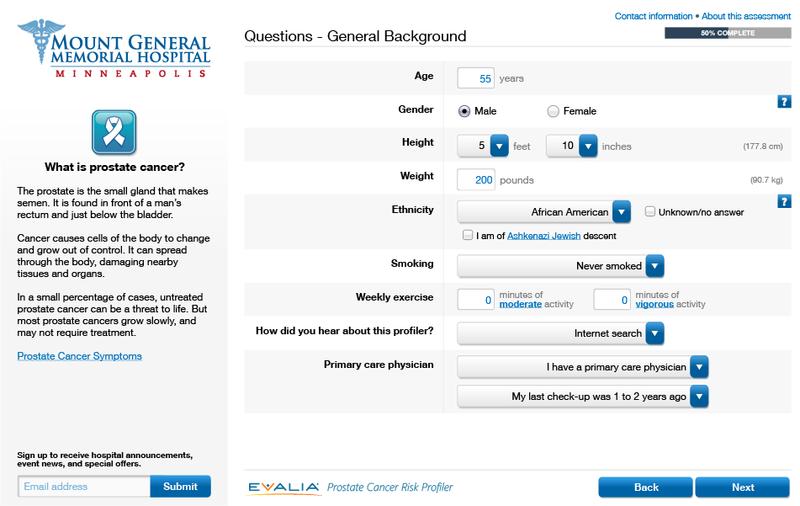 It also provides screening recommendations using current guidelines.